Being a software developer has it’s perks – you can often choose how we want to work and who we want to work for. Why do we still often stay in situations that make us unhappy? Why do we expect our employers to take care of our career and development? 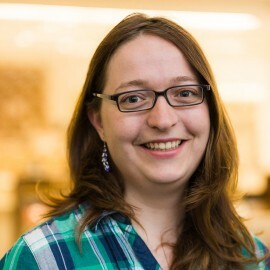 I did find I could not improve much more in my current working place and took charge of my career – I quit my job, left Germany to move to London and started on a new path: To become and work as a Software Craftswoman. Software Craftsmanship aims to raise the bar of Software Development. The Agile Manifesto has changed the industry and companies are changing their processes accordingly. However, despite those changes, lots of projects fail or deliver poor quality. People all over the world have signed the Software Craftsmanship Manifesto to show they believe in professionalism, technical excellence and personal responsibility. I will give an introduction to the principles of Software Craftsmanship and show how you can improve yourself, your team and your company by moving towards it.